How Can Professional Illustrations Increase Sales? Making as many sales as possible is the bottom line for all businesses. This is why entrepreneurs apply all marketing strategies that are appropriate to boost revenue. Did you know that illustrations are an excellent marketing strategy that promotes an increase in sales in many ways? Hiring an expert who creates illustration for big-brand products is advantageous to the company. To make this issue clear, let us look at how using professional illustrations increases sales for a company. 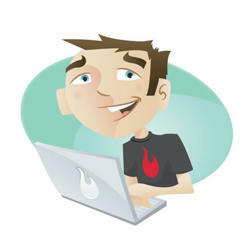 Illustrations are an amazing way to make your website look better and enhance user experience. Professional illustrators create authentic yet attractive media that will not slow down website visitors because it is too heavy. Entrepreneurs who employ the work of these experts realize an increase in sales within no time as more people visit the website. Illustration can be included with the products that a business is offering. Experts will make the illustrations attractive so that potential buyers will be convinced to buy. Now that the business has a website with an excellent user experience, the conversion rate determines the sales it will experience. Some businesses even use specific strategies that are aimed at converting potential customers to actual buyers of the offered goods or services. As the potential buyers admire the attractive and professionally branded product, they are compelled to buy them. Illustration can also be employed on free promotional gifts and samples. Clients will want to try these products even if it is their first time using them. Making people aware of your brand can be an uphill task. But did you know that illustrations are one way of increasing awareness? As a matter of fact, this is extremely effective when proper strategies are engaged. Illustrations are used to brand the website, social media pages, sold goods and packaging. As the illustrations on these items make their way to the web, homes, streets and magazines, people get to know of your brand. In return, this will increase sales for your company. When people are researching a product, they expect to find as much information as possible before they will purchase it. The more information they get, they more convinced to buy they become. Illustrations are an attractive way to communicate information to the audience. Experts argue that products with attractive and informative illustrations easily convince potential customers to buy. Therefore, your work as a business person is to ensure that your illustrator is professional enough to provide this level of quality. Have you ever looked at an illustration of a food product and felt hungry? Well, such a desire is often experienced across a variety of categories of goods and services that have attractive and compelling illustrations. Experienced illustrators work to create a desire to buy particular products. Most people actually do not need to read the accompanying text if there is any. The art is enough to trigger the urge to acquire that product. From the above details, it is clear that professional illustrators can increase sales for a business. They require cooperation from owners and managers to reach their goal easily.